While I was slaving away at a fundraiser yesterday, Kingston was hard at work with Uncle Mark. Uncle Mark claims that once Kingston reaches 50 pounds he is going to take him into the backyard and roll him around in the dirt. I have a feeling Kingston will think that is the greatest thing ever! He is pretty fascinated by Uncle Mark. And I mean, if he is anything like his dad, he will be in middle school when he reaches 50 pounds! 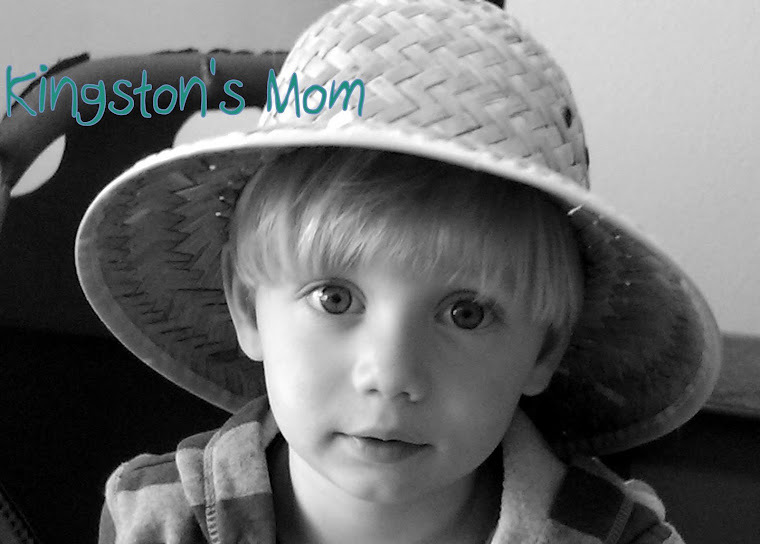 If he is more like his mom, he might make that by the time Kindergarten rolls around! 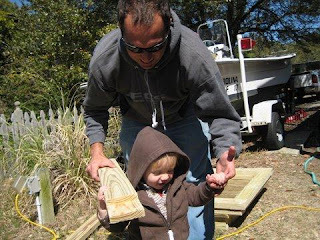 Learning how to properly "tote" wood is an important skill that can never be learned too early. I'm glad Kingston has it under control already!